Residents gathered at 148th Avenue SE to oppose Puget Sound Energy’s transmission line project. Bellevue residents gathered at the intersection of 148th Avenue Southeast and Main Street on Saturday, Sept. 29, to protest Puget Sound Energy’s Lake Hills-Phantom Lake transmission line project. The PSE project would construct new transmission poles along Northeast 8th Street and 148th Avenue Southeast in order to connect the Lake Hills and Phantom Lake substations. The intent of the project, which has been in the works since 2007, is to increase reliability in the event of a power outage by having the substations connected to two transmission lines instead of just one. In order to begin the development of the Lake Hills-Phantom Lake project, trees would need to be removed from the pathway of the transmission lines. The project’s impact on the environment and community has not been well received by several residents and community groups in the East Bellevue area. Saturday’s rally saw dozens of residents and community group representatives come together to show their opposition to the project. Don Marsh, co-founder of the Coalition of Eastside Neighborhoods for Sensible Energy (CENSE), spoke to the crowd at the rally about the project and its impacts on the area. In addition to removing trees and the visual impact of tall power lines, Marsh criticized the use of transmission lines over a less impactful technology, referred to as a self-healing grid. “The purpose (of the rally) is to show PSE that there is a community interest in a better solution than what they are proposing,” Marsh said. A self-healing grid is a distribution system that will automatically adjust power distribution in an area depending on power outages to make sure power stays up for the most residents possible, while also helping repair crews locate the point of fault in the system quicker. PSE currently has more than 20 self healing grids installed and planned for installation throughout the region, including in downtown Bellevue. In addition to CENSE, other community organizations have formed a coalition in opposition to the project — the Puget Sound Chapter of Mothers Out Front, East Shore Unitarian Church, 350 Seattle and the Citizens’ Climate Lobby’s Bellevue chapter. Three of the four candidates running for the 41st Legislative District’s two representative positions, My-Linh Thai, Michael Appleby and Tim Cruickshank are also noted as supporters of the coalition. Keri Pravitz, community projects manager for PSE, said a self-healing grid would not solve the project’s need as it is not a replacement for transmission lines. The grid is a distribution system, not a transmission system, she said. That means once the energy arrives at an area the grid will distribute the energy to houses, but will not carry energy from the substations to the service areas. Pravitz also noted that PSE is continuing to work with the city of Bellevue on a landscape plan and environmental impact mitigation that will total nearly $900,000. In 2015, the Bellevue City Council approved a Conditional Use Permit for the project. At the same time the East Bellevue Community Council, which has land use jurisdiction in areas the project covers, rejected the CUP. When PSE challenged the decision in King County Superior Court, the community council prevailed. PSE appealed that decision to the Washington State Court of Appeals which reversed the council’s rejection of the CUP in January 2017. 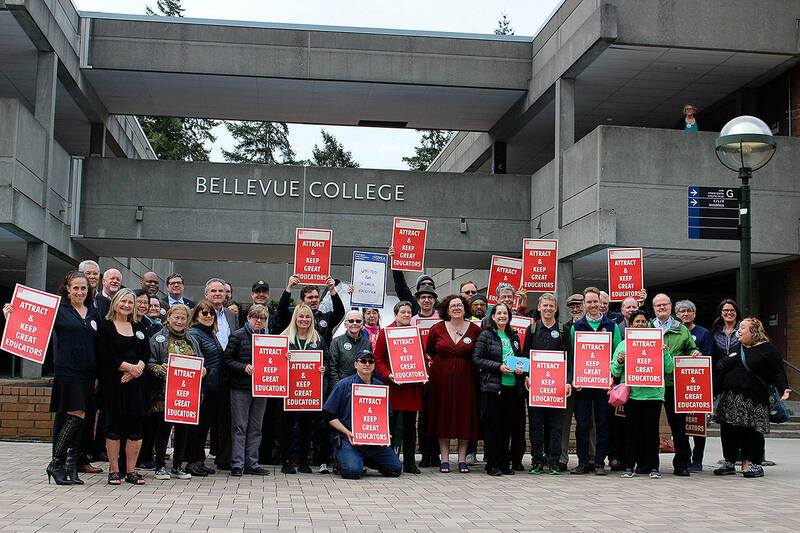 The East Bellevue Community Council appealed that decision to the Washington State Supreme Court, but the case was declined. The project is currently in the end stages of the permitting process as PSE is pursing construction permits once the landscape plan and impact mitigation plans are complete. When the construction permits are given to PSE, vegetation removal and development can begin. Some work at the two substations to prepare for the new transmission line has already begun, and Pravitz expects the line itself to begin development in early 2019. The work is expected to take three to four months to complete.